No, I'm not writing about the Taj Mahal Palace Hotel! 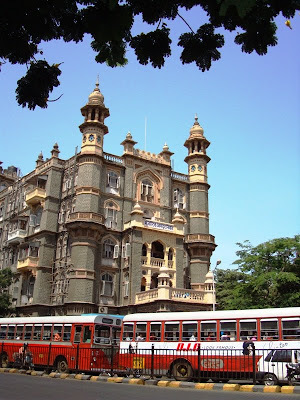 The Taj is undoubtedly a city icon, but Bombay has been home to several other fancy hotels; some older than the Taj, and some its contemporaries. It's time someone wrote about them! By some quirk of history, none of these grand hotels now survive as working hotels, except the Taj. But several buildings remain, reminders of past days when these were grand hotels where the elite of the city hob-nobbed and conducted business. The Majestic Hotel, Colaba, 1909 (built just 6 years after the Taj Mahal Hotel). The Majestic used to be one of the city's premier luxury hotels; it was built by an Italian firm that ran the super-snobbish Savoy at Mussoorie and Carlton in Lucknow. Nothing but the best would do for the Majestic! These days though, it houses a hostel for members of the legislative assembly, a basic canteen, and a department store on the ground floor. Quite a come-down from its glory days! The Majestic is not the only old grand hotel; there were others too. Where did these hotels come from? Who built them? For whom? To look for answers, we must go back 150 years, to a glorious era of prosperity when Bombay became an important global centre of trade and commerce. In the 1860's, Bombay saw unprecedented growth because of two key events. First, the American Civil War (1861-1865) led to a global shortage of cotton, because exports from the cotton fields of America were blockaded. The demand for cotton from Bombay shot up; prices rose to astronomical levels, and dizzy fortunes were made overnight by the city's cotton traders and shipping merchants. The second momentous event was the opening of the Suez Canal in 1864, which dramatically improved shipping. As trade grew, traders and merchants from overseas started coming to Bombay for business; and naturally the demand for hotels went up. Hotels were certainly a more attractive option than the "chummeries" or clubs that gentlemen could stay in. What's more, travellers by sea had become used to the high hospitality standards offered by well run steamships, and looked for similar comforts in the ports. Among the earliest grand hotels was Watson's Hotel; which reflected the owner's enthusiasm for ironwork (considered cheap to build). It was a 'Whites Only' hotel; and was built by John Watson, who ran a drapery business in the city. The building's unique cast-iron frame was imported from England, and reassembled here. In its heyday, the hotel boasted well-appointed rooms, and a grand ballroom. It's most attractive feature was an atrium. The waitresses, I am told, were imported from England as well :) After John Watsons died, the hotel closed down. Today it is a warren of small offices. I took a photographer on a walk into this building, and she clicked this very interesting photo of the nameboards inside Watsons. After Watsons came The Bycullah Hotel built in 1871; and the Green's Hotel built in 1890. Both these buildings were earlier mansion flats; they were converted to hotels. Green's Hotel was bought by the Tatas, and demolished in 1973, and in its place, the Tower wing of the Taj came up. I'm not sure what happened to the Bycullah Hotel - but it's not there any more. The pillar in the photo is still there, it's locally called "Khada Parsi" or The Standing Parsee. It is now squashed between two flyovers; see this photo. So Bycullah Hotel has disappeared, then. Does anyone know when or how? The next hotel to come up was The Great Western, converted to a hotel in 1890 or so. In the late 1700's, this building was the residence of the Governor of Bombay; then subsequently it was the home of the Commander-in-Chief of the Indian fleet. In the 1800's it was the Recorder's Court House. Today, the building houses small businesses, an art gallery, and a designer garments store. The road on which Great Western is located is Dockyard Road, now called Shahid Bhagat Singh Marg. The facade of this street remains the same today as it was all those years ago. The Doric porte-cochere of the hotel was demolished to widen the street, so the Great Western is like a face without a nose :) but other than that, walking on this street is a great way to experience the old Bombay. Great post taking one back in to the colonial era. 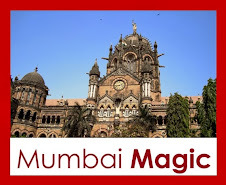 Many kudos to your interest in history of Mumbai and its places. And million thanks for sharing the info with all through a blog post. Great post Deepa! Many kudos to bring us this interesting information. I hope some of these buildings still exist so that it can be saved for posterity. Very interesting post. There are so many buildings with a history behind it, and I hope for our sake that they are retained and not demolished to make way for an ugly mall or skyscraper. Do more of these posts, please. That is William Hor(n)by and the Hornby Vellard was also named after him which is the civil project of joining the seven islands into one big island city. 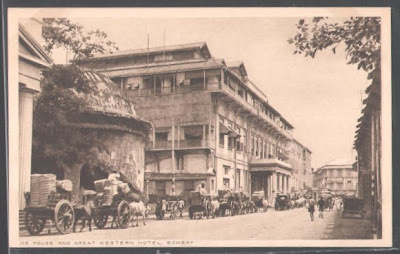 If you see the picture of the Great Western Hotel the round building in front of it is the old Ice House where they stored ice brought on ships from the USA when they did not have any ice factories in Mumbai. Now that is gone and instead of that you have the Cama Institute building in it's place. Good to see the old Byculla Hotel for us to enjoy in old pictures though I think it is still there in front of the new flyover though no longer in use as a hotel. Also the Khada Parsi statue is looking splendid with the gas lamps which are now missing and which I heard are going to be renovated soon. Aadil, thanks for pointing out the spelling error in Hornby, I have corrected it now. 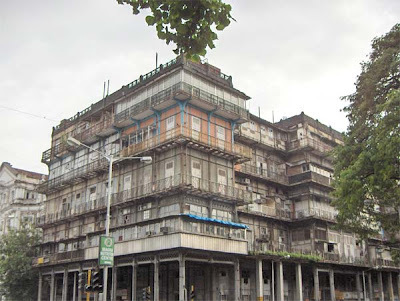 Yes, I also have a feeling there is a roofed building near Khada Parsi, but I have to go and look at it to see if it is this hotel! Oh yes the Khada Parsee was the landmark for us at Byculla (my birthplace) whether you came from Bhendi Bazar or from the Palace theater side. I am surprised that it still stands there. Your posts are very helpful. 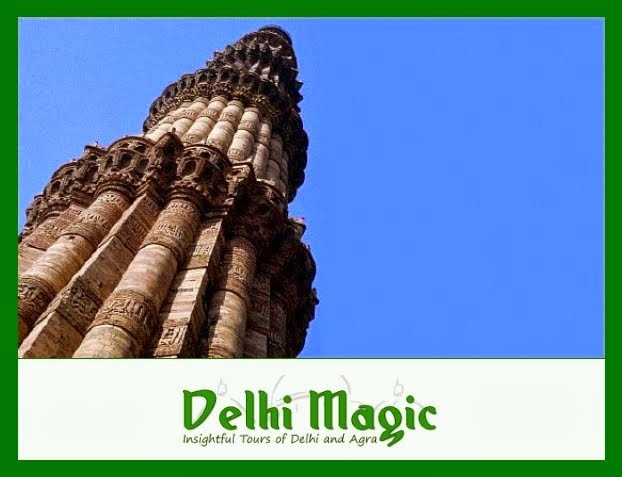 I follow them closely and make sure that the inputs provided by you are given special consideration during our tours. Great work, keep posting. It is a wonderful post by your end, where every line is so much on the detailed and informational. Thanks and keep sharing your thought with all. Great blog create by you.I read your blog, it's best and useful information. Hotel in Pune is one of the most beautiful and romantic hotel in Pune. 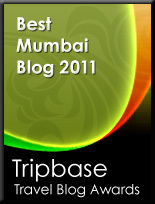 It is indeed a beautiful post reflecting on how the facade of Mumbai has changed and so also its Hotels. I hope you'll continue to delight us with such delightful posts going ahead. Amazing site! Good intentions. From the start, the blog seems to be a motivational one. I will follow your blog here! Really a nice informative post about the Grand hotels. Thank you !